Beside that I started looking at the epiphany-mono package, to allow mono extensions be easily written for epiphany, the binding is quite complete, but very buggy at the moment, so i’ll help fixing that eventually. Which does pretty much nothing except that it stores in a hashtable the feeds corresponding to each opened tabs. 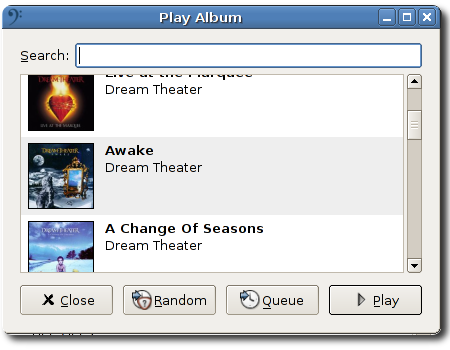 It requires now little effort to make a nice gtk UI, like a dialog or integrating menu items or statusbar icons in epiphany via the GtkUiManager. The extension finally made it into cvs, you can get it by getting a fresh checkout of the epiphany-extensions module on gnome cvs servers. Last night I also added a context menu on the list of feeds to copy the feed address in clipboard, and allwed to drage the feed in any text entry to get the url too. Beside that i made a little extension called “file-watch” to will reload a page, if this is a local page and it is modifed, very practical if you develop web-pages locally, just save it in your editor, and epiphany will refredh the view automatically ! This might well be transformed in the core epiphany package instead of an extension.